Dysan 8mm Metal 112m 5GB Tape Cartridge : CD/DVD Supplies & Services, CCSS Inc. 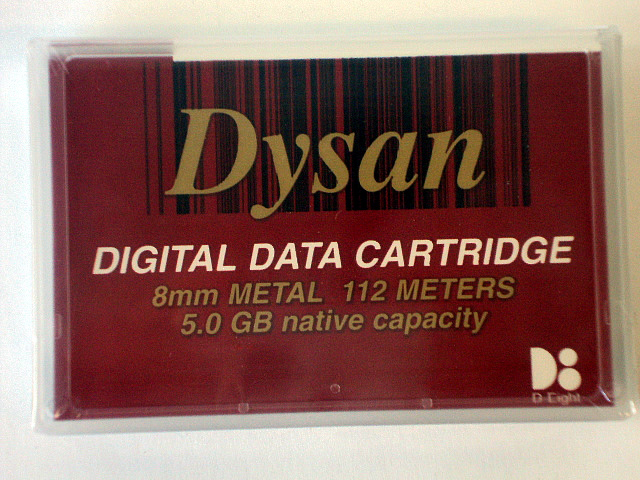 This is a genuine Dysan 8mm 112m Data Tape Cartridge. This 8mm cartridge has the ability to store 5GB of data and can transfer/write data quick speeds.